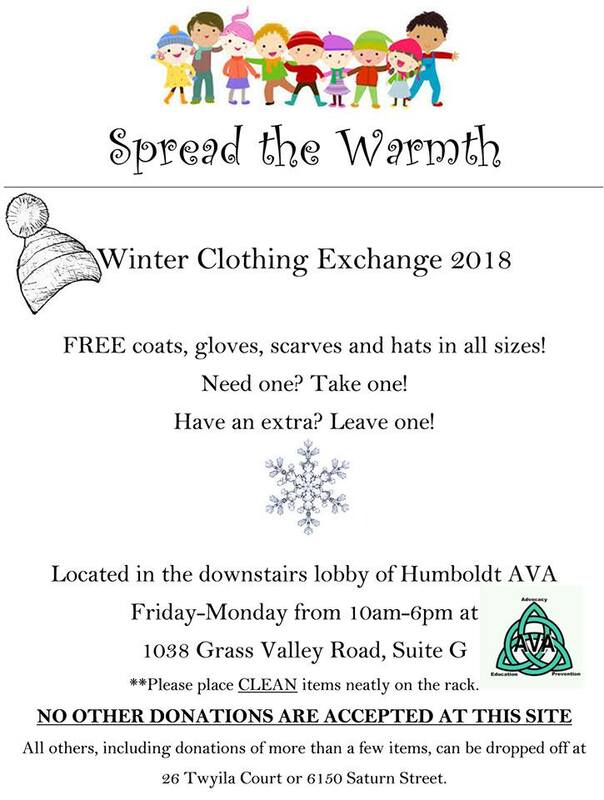 AVA's Annual Winter Clothing Exchange Now Open! Advocates for Victims of Abuse's Winter Clothing Exchange is now up! Located in the lobby in front of our offices at the Grass Valley Plaza-1038 Grass Valley Road. 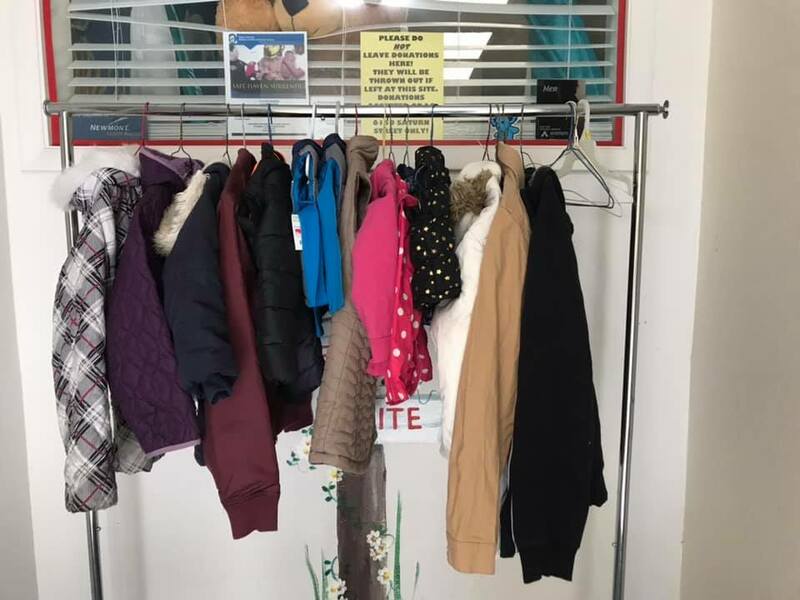 Come on over and take a coat if you need one, leave any clean an gently used winter clothing if you want to help! If items need to be cleaned, please drop them at 26 Twyila Court or 6150 Saturn Street- do NOT leave dirty items at the office, please! No good used clothing and want to help? Click on the donate button! Financial donations always welcome and appreciated!